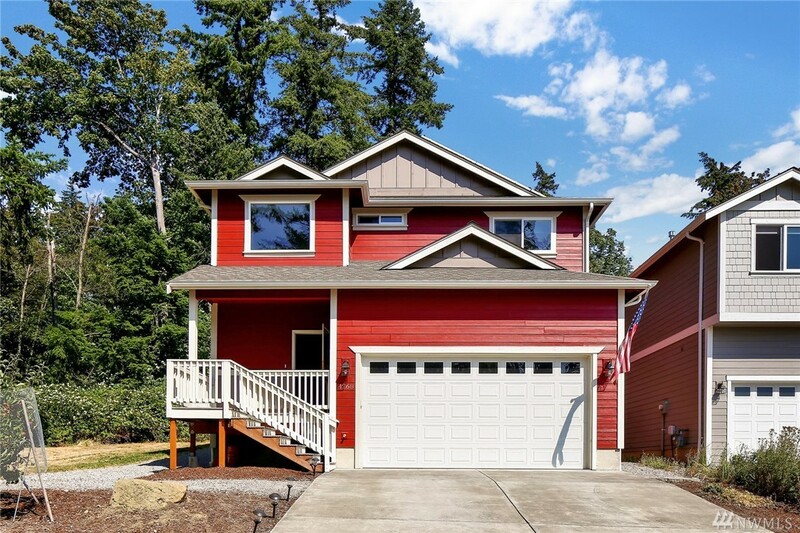 2,020 sq ft; lot: 8276 sq ft - MLS# 1326712 Courtesy of RE/MAX Whatcom County, Inc.
Immaculately maintained, this house feels brand new! Open floor plan includes slab granite countertops, custom cabinets, tiled natural gas fireplace, stainless steel appliances, walk in closet off the master, office nook, vaulted ceilings, 9-foot ceilings on main & spacious kitchen with eating bar. Large corner lots backs up to green space providing extra privacy & great nature access; sunset views & extra parking too! Enjoy benefits of the 26-panel Ecotech solar with minimal electric bills!